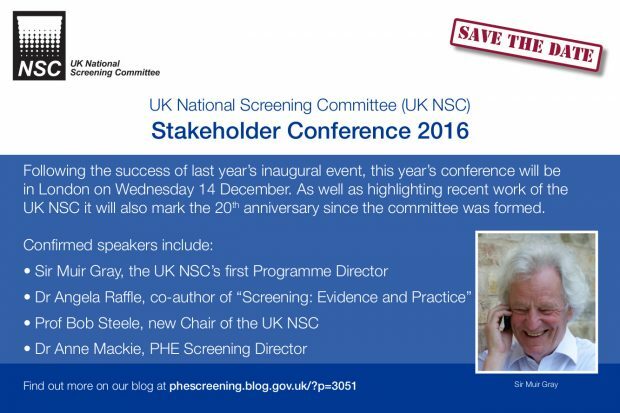 Some of you will have come to the UK National Screening Committee’s first stakeholder conference last December. As we blogged at the time, the event was a great success at enabling committee members and stakeholders to get together and consider the role and function of the UK NSC, as well as reflecting on some of the evidence reviews carried out over the previous year. Prof David Walker, who chaired the UK NSC at that time committed us even before the event was over to running another one and we’re now well under way with the planning. The most important thing to let everyone know is the date. The conference will take place on Wednesday 14 December 2016. It will be in London and we’ll announce the venue nearer the time. Rest assured, it will be near tube links! 2016 is a big year for the UK NSC as it marks 20 years since the committee was formed. Back in 1996, the only 2 national screening programmes in England were for cervical cancer and breast cancer, whereas we now have 11 NHS Screening Programmes, together helping to identify millions of people each year with dozens of different health conditions. So screening in England and across the UK has come a long way, as has the UK NSC itself. Prof Bob Steele is the fifth chair and hundreds of expert members have passed through the committee over the years. We want to mark this milestone appropriately and felt the best way to do this was to dedicate part of this year’s conference to reflecting on 20 years of the UK NSC. 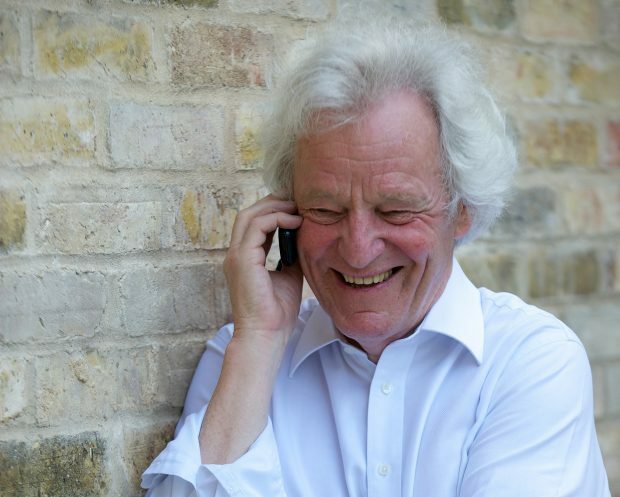 We’re absolutely delighted that Sir Muir Gray, who jointly held the first role of UK NSC Programme Director, will be speaking at the event, as well as Dr Angela Raffle who with Sir Muir wrote the seminal book “Screening: Evidence and Practice”. Prof Bob Steele and Dr Anne Mackie will also be speaking, as well as other current members of the committee. We’d love to build on the success of last year’s event and get even more people who are interested in screening and the work of the UK NSC along this year. Following feedback, we will be making the event more interactive, with increased opportunities for participation. So put the date in your diaries now and watch out on this blog and Twitter for more information about how to register your place later in the summer. I look forward to hopefully seeing lots of you in December! PS. Here's a flyer you can use to publicise the event with colleagues.